When it comes to horror film classics, George A. Romero's Night of the Living Dead is right at the top. But while the 1968 movie itself has gone on to such great heights, the same can't be said of its troubled soundtrack. In fact, the complete album is only being released now — some 50 years later. Despite Night of the Living Dead first arriving in '68, much of the film's music was thought to be lost or destroyed over the years, with only a small sliver of tracks from the movie eventually appearing on a 1982 OST release. Following an exhaustive three-year project by Waxwork Records, however, the full soundtrack is at last seeing the light of day, with the label doing its best to right any and all past wrongs. 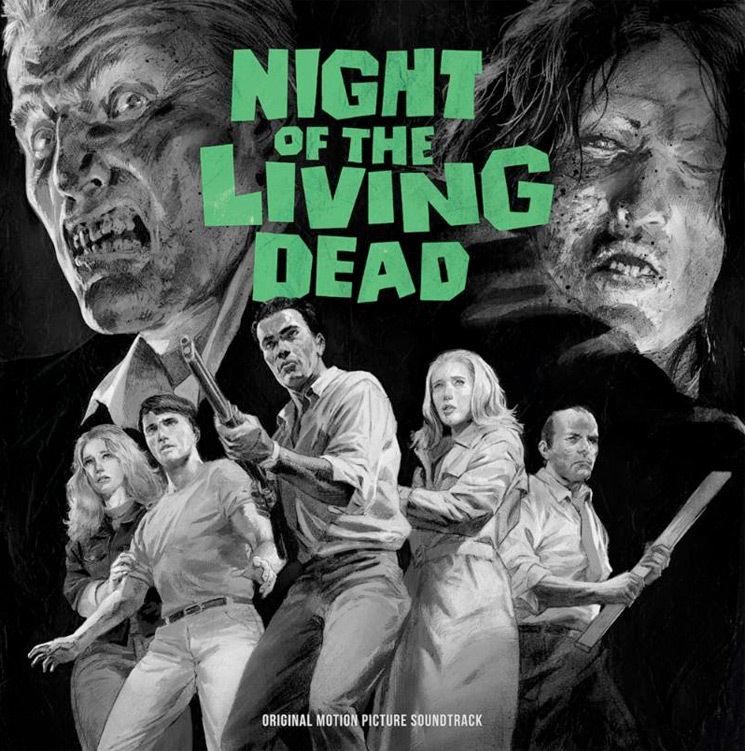 Presenting what's called the "definitive soundtrack album" of Night of the Living Dead, the Waxwork release collects all the music and cues used for Romero's film. This ends up spanning two 45 rpm LPs and an impressive 48 tracks, all of which have been restored and remastered for vinyl. Even all these years later, the musical results are impressive, even if the music was crafted by a series of largely forgotten composers. Despite the '82 release featuring names such as Spencer Moore, George Hormel and Ib Glindemann, the Waxwork edition doesn't even list the names of the music makers, which seems a strange but perhaps necessary choice. Despite that, the music sounds more dynamic than ever. The loud bits are now indeed loud, the soft parts soft, and all the weird in between is more surreal than ever. And since this is the era of "slow zombies" we're talking about, the music takes a similar approach, with much of the score led by brooding, tension-building orchestral work. In many ways, this is the sound of the golden age of horror, but done exceptionally well. This especially goes for the stunning "Grasping Hands" — a rhythmic and iconic-sounding track that's prime for old-school hip-hop sampling. The primitive synth experiments included on the soundtrack's second LP also add a fascinating sonic layer, giving an early glimpse of what would eventually become a staple in the zombie genre.